The Graduate Students below hold Teaching Assistantships within the Department of Mathematics and Statistics for the fall semester 2018. The listings are organized by ascending course number, starting with “MATH 418” and ending with “MATH 645”. Dalton entered the department in the fall of 2015. 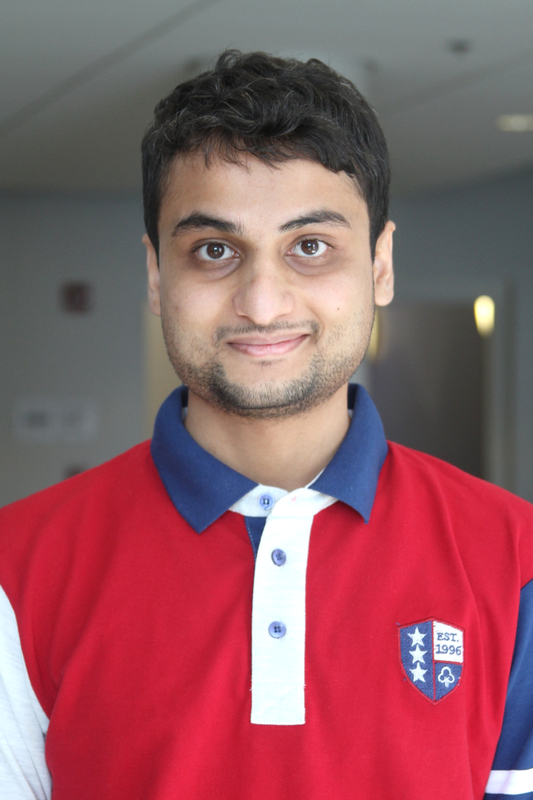 He is a fourth-year PhD student in the Mathematics Education program at UNH. He earned his Master of Arts in Teaching from Clarkson University, his M.A. in mathematics at the State University of New York at Albany, and his B.A. in mathematics from Alfred University. In 2017, he was awarded Outstanding Graduate Teaching Assistant by the College of Engineering and Physical Sciences. Dalton currently holds a Teaching Assistant position within the Department of Mathematics and Statistics. This spring Dalton is the Teaching Assistant for MATH 418: Analysis and Applications of Functions. For Fall 2018, he was the instructor for MATH 439: Statistical Discovery for Everyone. He has previous instructor experience in MATH 418 and Teaching Assistant experience in MATH 425H, 426H, and 644. 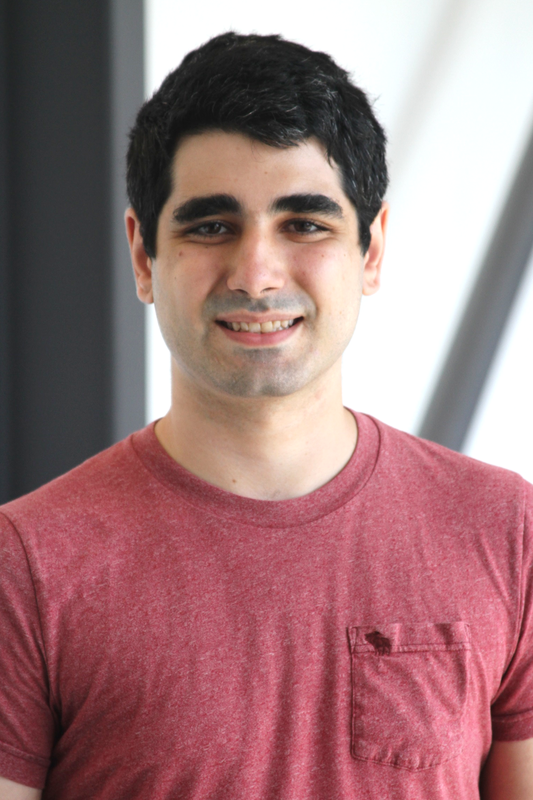 For his dissertation research, Dalton is studying how students’ attitudes towards mathematics and science develop throughout high school and motivate them to pursue careers in science, technology, engineering, and mathematics (STEM). Mindy joined the department in the fall of 2016. She is a PhD student in the Mathematics Education program at UNH. She previously held a Graduate Assistantship at Marshall University in Huntington, West Virginia. Jakub completed his masters of mathematics at Missouri State University and his bachelor of applied mathematics at Lincoln University. He is a first year PhD student in the Statistics program. This year Jakub has been the Teaching Assistant for MATH 422 Mathematics with Business Applications. He has previous experience as a Teaching Assistant for College Algebra while he was working on his masters, he also taught AP Calculus in Southeast Asia for two years. Jakub is interested in research on big data, markov chains, AI, and data analytics. This is Jakub's first time in New Hampshire and he enjoys playing sports and the cold weather, especially the snow since he comes from central Europe. Fred entered the department in the fall of 2018. He is a PhD student in the Integrated Applied Mathematics program at UNH. His interests vary from mathematical modeling to mathematics in finance. Eric joined the department in the fall of 2018. He is a PhD student in the Mathematics program at UNH. He previously attended Worcester State University. His interests are in algebra, and he looks forward to studying commutative algebra and Galois theory. Jessica entered the department in the fall of 2018. She is a PhD student in the Mathematics Education program at UNH. Before joining UNH Jessica was an adjunct math professor at Worcester State University, where she earned her Master’s. Thomas entered the department in the fall of 2018. He is a PhD student in the Mathematics program. His interests include Modern Algebra, Topology, and Category Theory. He holds a BS in Mathematics. Katie entered the department in the fall of 2017. She is a PhD student in the Mathematics program. Her interests are in number theory and geometry. She holds a B.S. from Keene State College. Emma completed her B.S. in mathematics at Trinity College in Hartford, CT. Before returning to school, she taught math at Phillips Exeter Academy for three years. She is a third year PhD student in the Mathematics Program. She has previously been a TA for Math 418 (Analysis and Applications of Functions), 425 (Calculus I), and 426 (Calculus II). Emma is interested in algebraic topology and category theory. In the spring of 2018, she was awarded the Graduate Student Teaching Award. In her free time, Emma enjoys sewing and riding her bike. Joyce completed a BA in Mathematics at Central Connecticut State University, also making a detour to complete an MS in Geography there before returning to math upon entering the Ph.D. program in Mathematics Education in the fall of 2018. Joyce previously was the Teaching Assistant for Math 418, Analysis and Applications of Functions. They now are the Teaching Assistant for Calculus I.
Emily entered the department in the fall of 2017. She is a PhD student in the Mathematics Education program at UNH. She earned Master of Arts in Teaching from the University of Connecticut’s Teacher Certification Program for College Graduates. 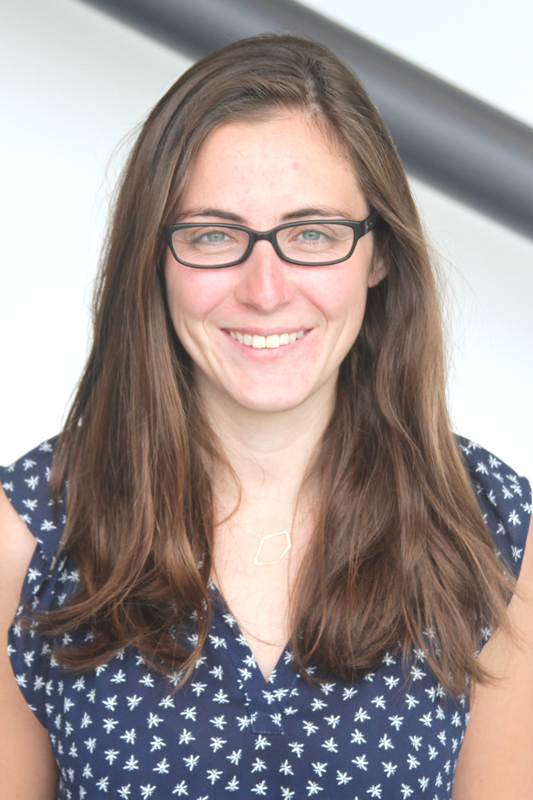 Before coming to UNH, Emily was a Math Teacher at Coventry High School and Batchelder School, both in Connecticut. Cammie entered the PhD in Mathematics Education program in the fall of 2016. She earned her MST from the University of New Hampshire and has a Bachelor of Science in Mathematics from the California Polytechnic State University, San Luis Obispo. Before her time at UNH, she was a middle and high school mathematics teacher for four years in the Templeton Unified School District in Templeton, California. She received the "Robert Noyce Scholarship" in 2011, the "Outstanding Mathematics Educator" award in 2012, and the "James Leitzel Scholarship" in 2014. Her research interests include secondary teacher education and learning in undergraduate mathematics. Cammie currently holds a Teaching Assistant position within the Department of Mathematics and Statistics. She has been a TA for both Math 418 and Math 425 in previous semesters, has been the instructor for Math 418, MATH 601/801, Exploring Mathematics for Teachers. Alice is a second year PhD student in Mathematics. Alice is a TA for 425, Calculus I for the spring semester. Previously she was a TA for MATH 424A and 425. Alice has not yet decided on a major, but is interested in topics in Algebra and Mathematics Education. In 2018, she attended the Graduate Workshop in Algebraic Geometry for Women & Mathematicians of Minority Genders at MIT/Harvard. As an undergraduate at UNH, Alice won the Mathematics Achievement Award in 2017. Alice enjoys making music, baking, and going on performance tours with her girlfriend. David entered the department in the fall of 2016. He is a PhD student in the Mathematics program. His interests include Analysis and Linear Algebra. He holds a Master’s in Mathematics from Rhode Island College. Devin Gent joined the department in the fall of 2017. He is a PhD student in the Mathematics program at UNH. He previously attended Rivier University. His interests stem from proof writing and problem solving, and he is particularly interested in Discrete Mathematics, Abstract Algebra, Classical Gemoetries, and Game Theory. Minh entered the department in the fall of 2016. He is a PhD student in the Mathematics program. He is interested in number theory. He holds bachelor’s degree from Mercyhurst University. Dennis entered the department in the fall of 2017. He is a PhD student in the Statistics program at UNH. 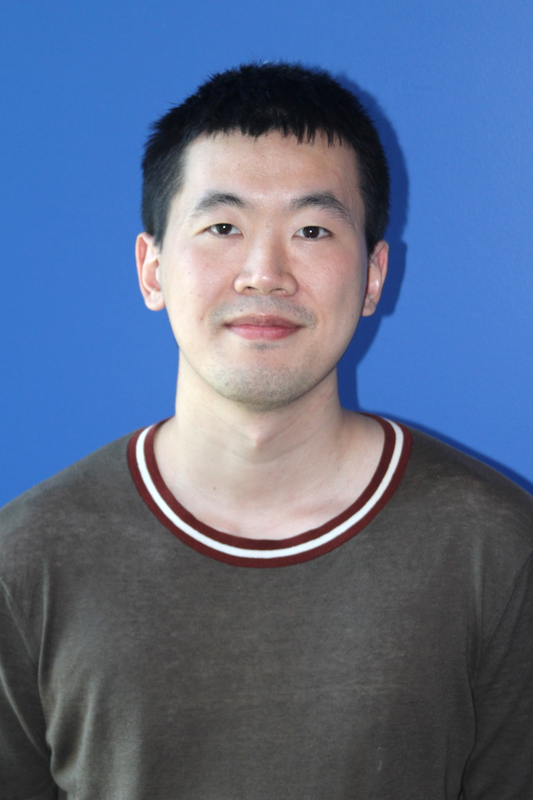 He earned Master’s in Statistics from George Washington University in 2014, and a BS in Applied Mathematics from the Southwest University in China in 2012. Jason entered the department in the fall of 2015. He is a PhD student in the Mathematics program at UNH. A major interest of his is Number Theory. Before joining UNH Jason was a student at Worcester State University. Patrik is a PhD student in the applied mathematics program at UNH. He holds an undergraduate degree in mechanical engineering from BITS Pilani, India and my MS(Engg) from JNCASR, India. 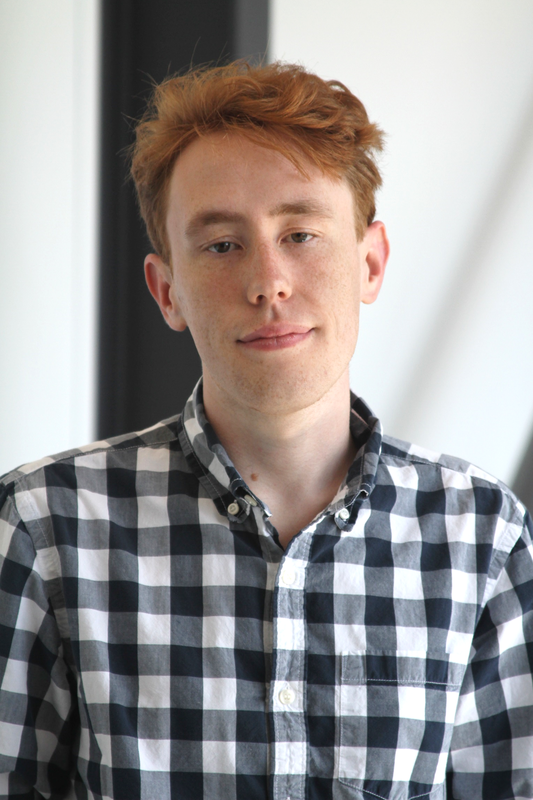 Patrik’s research interests are fluid and nonlinear dynamics, pattern formation, symmetry breaking bifurcations, scientific computation and in general, physics and mathematics! He is mesmerized by patterns in nature. He believes doing honest science is important. Apart from academics, Patrik has eclectic tastes in life. He enjoys martial arts (Kung-fu and taekwondo) and badminton, and (used to) play the Indian percussion instrument, Tabla. He also maintains a blog (http://www.thepencilwriter.com/) where I write about books, articles, short films and documentaries that made an impact on him. Eric entered the department in the fall of 2013. He is a PhD student in the Mathematics program at UNH. He has a variety of interests from differential geometry and differential equations to algebra and real analysis. Eric currently holds a Teaching Assistant position within the Department of Mathematics and Statistics. This spring he is the Teaching Assistant for MATH 527, Differential Equations with Linear Algebra. Adappa entered the department in the fall of 2018. He is a PhD student in the Mathematics program. He is interested in a variety of areas including: topology, functional analysis, financial mathematics, computational mathematics, optimization or numerical analysis. Before his time at UNH He was an Instructor in Engineering Mathematics at the Open University of Sri Lanka. Adappa holds a bachelor’s degree from University of Peradeniya. Maddie entered the department in the fall of 2013. She is a PhD student in the Mathematics program at UNH. Her interests are in Analysis and Numerical Analysis. She earned a Master’s from the Isfahan University of Technology in 2012, studying Logic and Algebra. Mirajul entered the department in the fall of 2016. 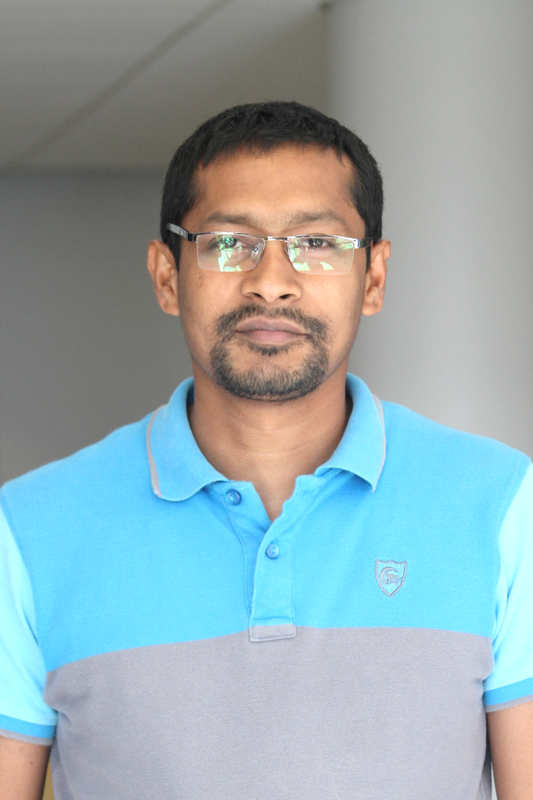 He is a PhD student in the Statistics program at UNH, and a faculty member of the Department of Statistics, Shahjalal University of Science and Technology (SUST). He has completed a MS Thesis in Biostatistics titled “Regression Models for Competing Risks using Pseudo values of Cumulative Incidence Function” at the University of Dhaka, Bangladesh. Ronnie joined the department in the fall of 2018. He is a PhD student in the Statistics program at UNH. He is interested in regression analysis and data mining. 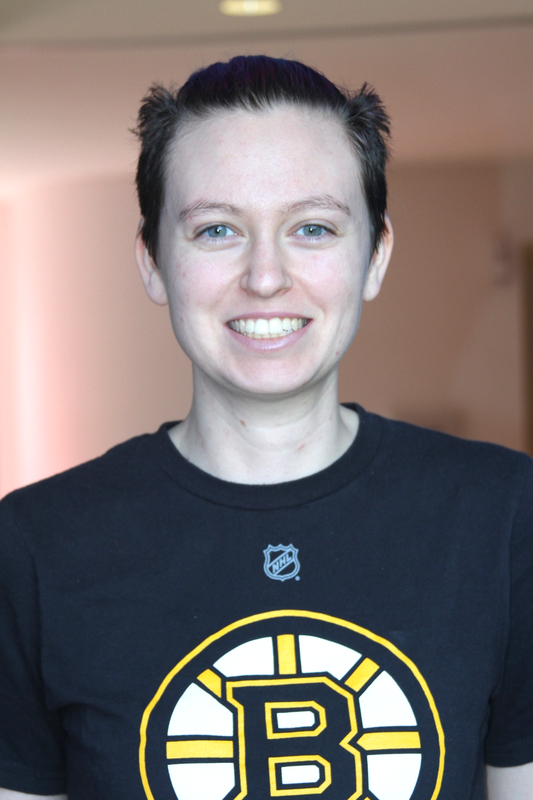 Madeline joined the department in the fall of 2016 and she is a PhD student in the Integrated Applied Mathematics program at UNH. Her current research involves flutter analysis of fluid flow through flexible tubes. Prior to UNH, Madeline graduated from Elon University, North Carolina, with a Bachelors in Mathematics. Jack Abdul Massih received a B.S. degree in Mechanical Engineering from the University of Balamand, Lebanon, in 2009. In 2011, he received a M.S. degree in Mechanical Engineering from Northeastern University, Boston, USA. In 2015, he joined the Integrated Applied Mathematics program at the University of New Hampshire as a PhD student. 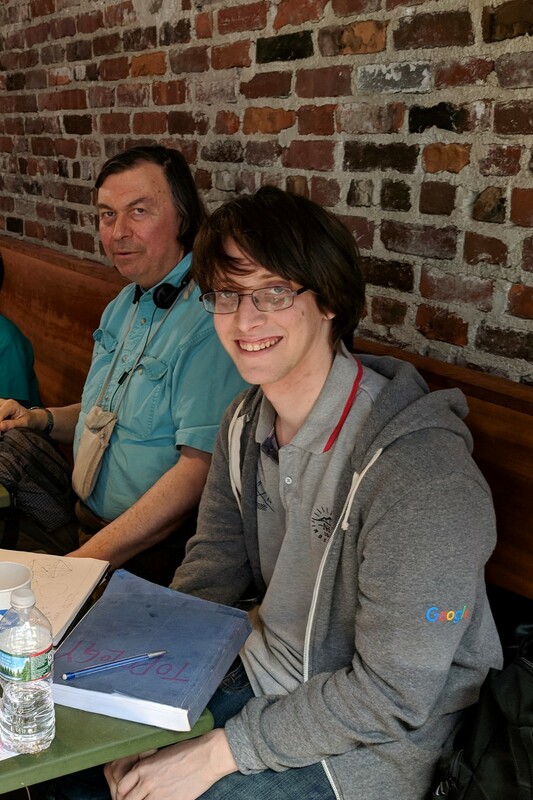 Jack has previous experience as a Teaching Assistant for ME 503, Thermodynamics; MATH 527, Differential Equations with Linear Algebra and IAM 550, Introduction to Engineering Computing. Jack’s research is in Baroclinic Streaming, with a focus on compressible fluid dynamics, asymptotic methods, and spectral methods. Jack was born in a small town in North Governorate, Lebanon, in 1988. Jack enjoys hunting and fishing. Abdulaziz Alsamil received his Bachelors of Science in Applied Mathematics from the AL-Imam Muhammad Ibn Saud Islamic University in 2014. He has previous experience as a Teaching Assistant for Caluclus I, Calculus II and Numerical Anlayisis. In the fall of 2017 he joined the Applied Mathematics Program at the University of New Hampshire. Aaron Carter received his Bachelors of Science from the University of Conneticut in 2015. Aaron wad admitted into the Integrated Applied Mathematics Program the following fall and offered a Research Assistantship. He works with Dr. Gibson on a National Science Foundation award, conducting research in coherent structures in turbulence. Nicholas Dubicki earned his Bachelors of Science from UNH in Mechanical Engineering in 2017. He was admitted into the Applied Mathematics program the following fall. He has an interested in research in fluid dynamics, particularly geophysical flows. 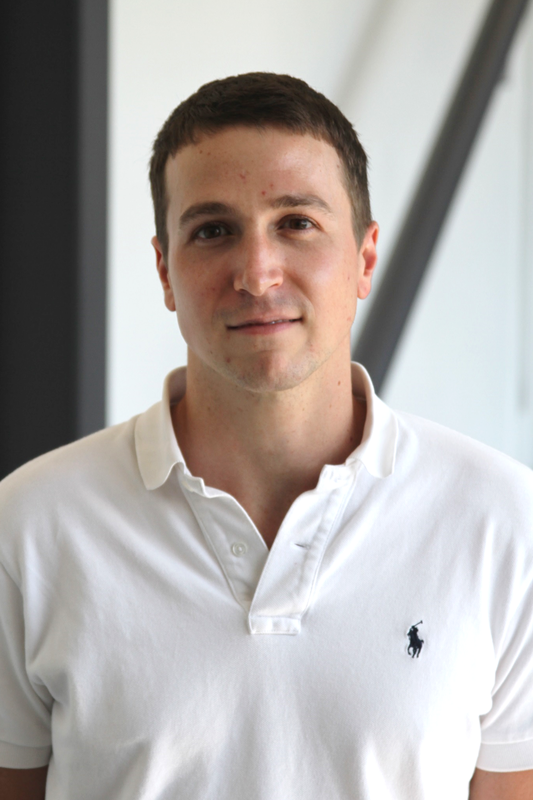 Laszlo is a fifth year PhD student in the Integrated Applied Mathematics program. He earned his bachelor's degree in mechatronics engineering from the Budapest University of Technology and Economics. His research is focused on the mathematical analysis of a flexible aircraft wing in subsonic airflow using spectral analysis and asymptotic methods. He also has an interest in control of partial differential equations and numerical analysis. Laszlo has served as a TA for four years at UNH and was awarded the Summer TA Fellowship in 2016. Olga entered the program in the fall of 2017. She is a master’s student in the Applied Mathematics program at UNH. She has an background in biochemistry, earned BS in Business Administration, with a focus on finance management, as well as a Doctorate in Applied Linguistics from the Novgorod State University in Russia. Eric is a PhD student in the Mathematics program at UNH. His interests are in algebra, and he looks forward to studying commutative algebra and Galois theory. He is a graduate from Worcester State University. Eric currently holds a Teaching Assistant position within the Department of Mathematics and Statistics. Devin currently holds a Teaching Assistant position within the Department of Mathematics and Statistics. Jonathan completed his Bachelors and Masters in Mathematics at the University of Vermont in 2013, focusing on Algebraic Combinatorics. He is a part time second year PhD student in the Mathematics program. 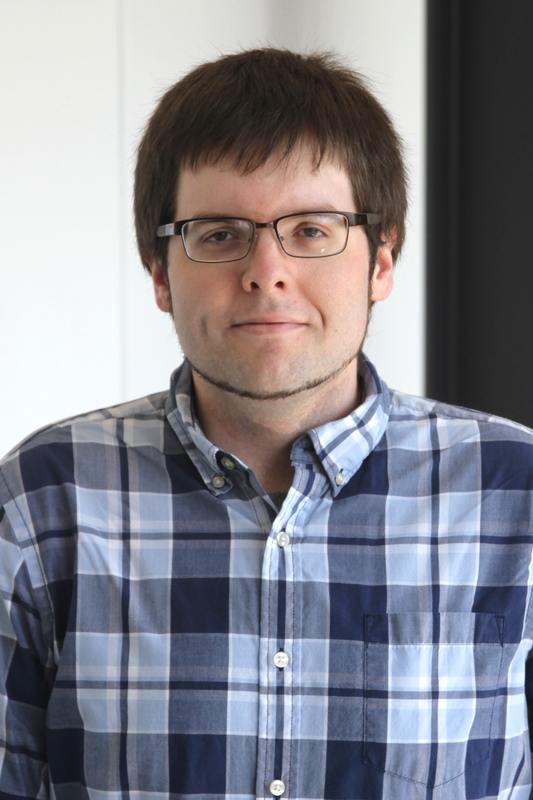 Jonathan’s research is in Operator Algebra and Quantum Information Theory. In his spare time he is a software engineer at Google. He and his wife Wenjing (also an Operator Algebraist at UNH) live in Cambridge, MA. 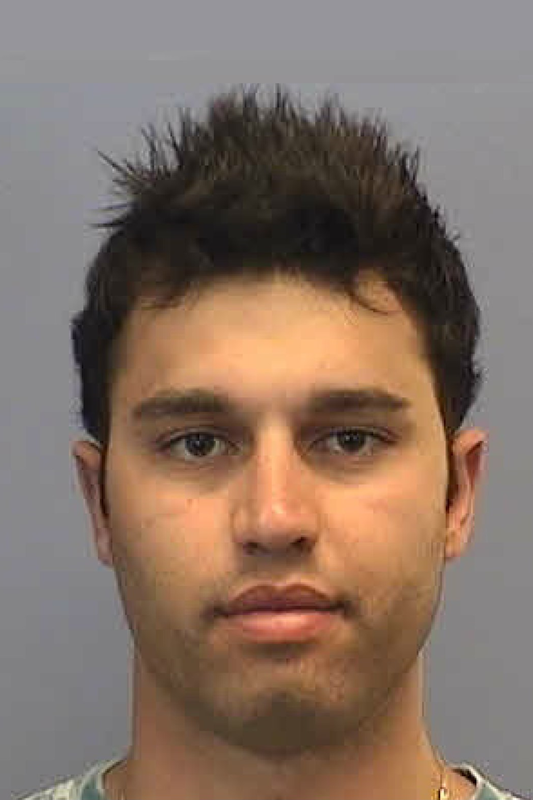 Jason currently holds a Teaching Assistant position within the Department of Mathematics and Statistics. Alice is a second year PhD student in Mathematics. Alice is a TA for 424A, Calculus for Social Sciences for the Fall 2018 semester. Previously she was a TA for MATH 425. Alice has not yet decided on a major, but is interested in topics in Algebra and Mathematics Education. In 2018, she attended the Graduate Workshop in Algebraic Geometry for Women & Mathematicians of Minority Genders at MIT/Harvard. As an undergraduate at UNH, Alice won the Mathematics Achievement Award in 2017. Alice enjoys making music, baking, and going on performance tours with her girlfriend. Wenjing Liu, who is from Henan China, studies Operator Theory and Operator Algebras. She completed her Bachelors and Masters in Mathematics at the Shaanxi Normal University before she came to UNH in 2013. Wenjing Liu got a Dissertation Year Fellowship for the 2018 academic year. She will graduate in May 2019. In her spare time she likes writing and reading. She and her husband (a great guy who loves math) live in Cambridge, MA and they have a cute daughter Lyra. 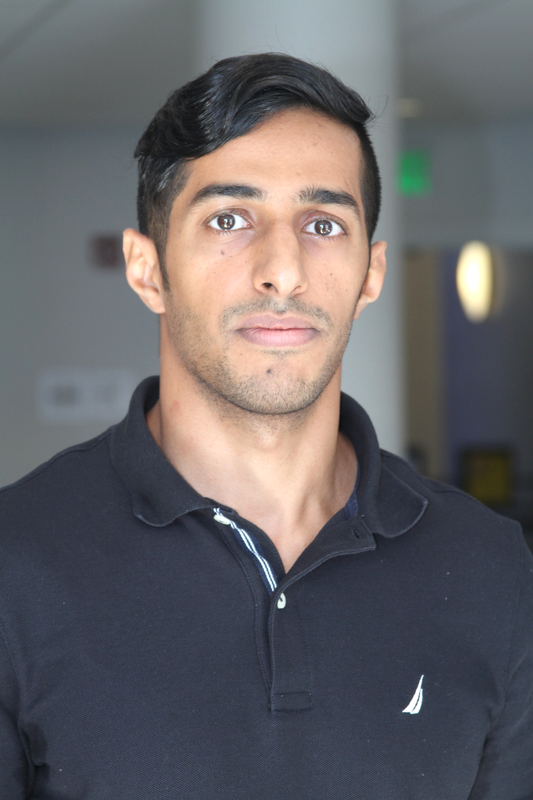 Mahtab entered the department in the fall of 2013. She is a PhD student in the Mathematics program at UNH. Her interests are in Analysis and Numerical Analysis. She earned a Master’s from the Isfahan University of Technology in 2012, studying Logic and Algebra. 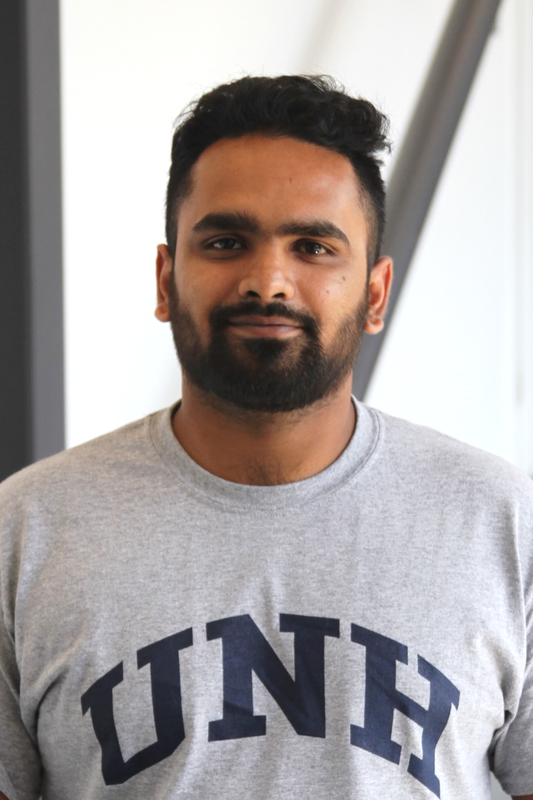 Mahtab currently holds a Teaching Assistant position within the Department of Mathematics and Statistics. Katie entered the department in the fall of 2017. She is a PhD student in the Mathematics program at UNH. Her interests are in number theory and geometry. She holds a B.S. from Keene State College. Katie currently holds a Teaching Assistant position within the Department of Mathematics and Statistics. 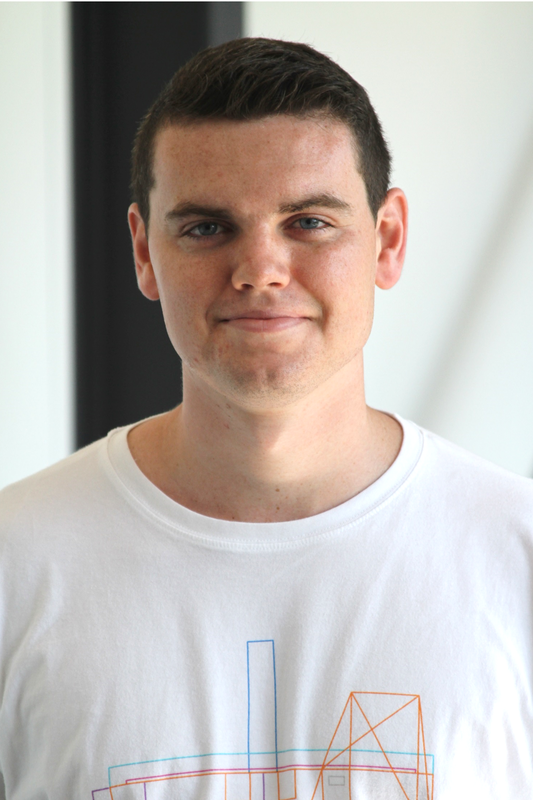 Thomas currently holds a Teaching Assistant position within the Department of Mathematics and Statistics. Emma entered the department in the fall of 2016. She earned an MS in Mathematics, from UNH and is now working on her PhD in the Mathematics program. In 2018 she earned the Graduate School’s Teaching Award for her significant contribution to the teaching mission of the university and her excellent in teaching. Her academic interests are in topology and number theory. Emma earned her BS in Mathematics from Trinity College. Before coming to UNH she was a Math Teacher at Phillips Exeter Academy in New Hampshire. Emma currently holds a Teaching Assistant position within the Department of Mathematics and Statistics. She is currently an instructor for MATH 425 Calculus. David currently holds a Teaching Assistant position within the Department of Mathematics and Statistics. 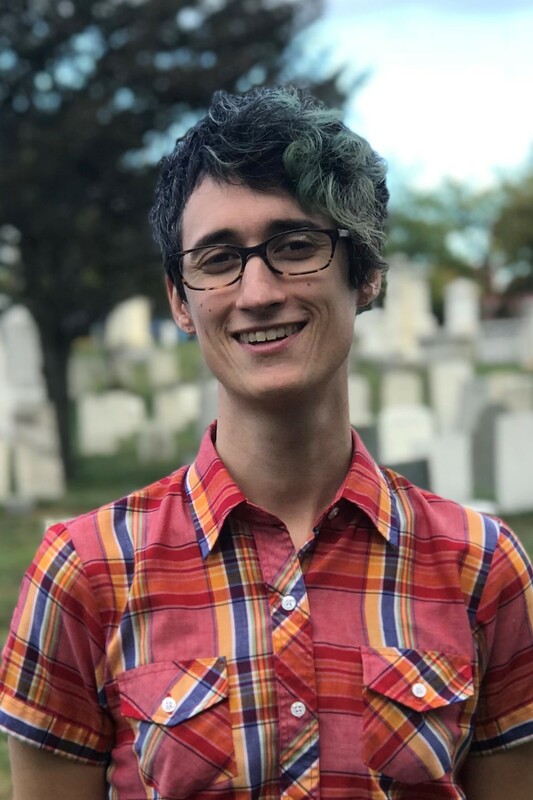 Sam entered the department in the fall of 2017. He is a master’s student in the Mathematics program. He is interested in algebraic topology. Sam holds a bachelor’s degree from Colorado College. Adappa currently holds a Teaching Assistant position within the Department of Mathematics and Statistics. Minh entered the department in the fall of 2016.. He is a PhD student in the Mathematics program. He is interested in number theory. He holds bachelor’s degree from Mercyhurst University. 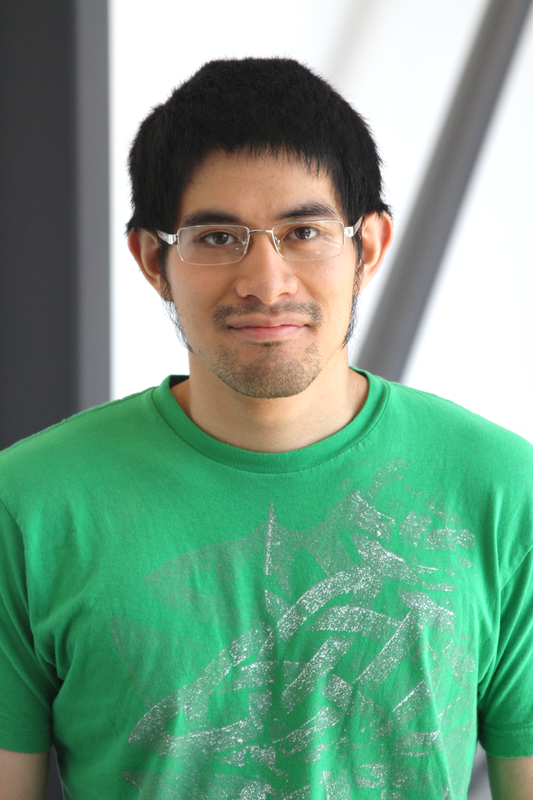 Minh currently holds a Teaching Assistant position within the Department of Mathematics and Statistics. Shay entered the department in the fall of 2014. He is a PhD student in the Mathematics program at UNH. He enjoys complex analysis and number theory. He earned Master’s in Mathematics from Mahidol University, Thailand, in 2012. Mindy joined the department in the Fall of 2016. She is a PhD student in the Mathematics Education program at UNH. She previously held a Graduate Assistantship at Marshall University in Huntinton, West Virgina. Mindy currently holds a Teaching Assistant position within the Department of Mathematics and Statistics. Her research interests include secondary teacher education and learning in undergraduate mathematics. Cammie currently holds a Teaching Assistant position within the Department of Mathematics and Statistics. She has been a TA for both Math 418 and Math 425 in previous semesters, has been the instructor for Math 418, the instructor for Math 601/801, Exploring Mathematics for Teachers I, and is currently the TA for MATH 425, Calculus. Jessica currently holds a Teaching Assistant position within the Department of Mathematics and Statistics. Dalton currently holds a Teaching Assistant position within the Department of Mathematics and Statistics. He was the instructor for MATH 439: Statistical Discovery for Everyone, as well as an instructor for MATH 418. He has Teaching Assistant experience in MATH 418, 425H, 426H, and 644. Emily currently holds a Teaching Assistant position within the Department of Mathematics and Statistics. Ronnie is a PhD student in the Statistics program at UNH. 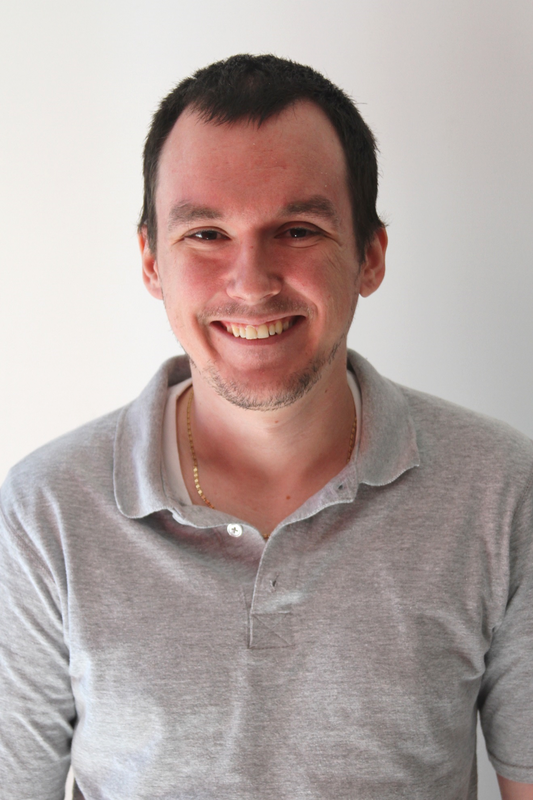 His interests stem from his research in Applied Linera Models, Nonparametric Methods and Categorical Data Analysis. He is focused on regression analysis and data mining. Ronnie currently holds a Teaching Assistant position within the Department of Mathematics and Statistics. Kathryn entered the department in the fall of 2017. She is currently a student in the Master of Science in Statistics program, and the Ethernets Operations Manager for the Ethernets Technologies Consortium at the University of New Hampshire InterOperability Laboratory (UNH-IOL). Kathryn received her Bachelor of Science in Chemistry from the University of New Hampshire in 2014. She has a passion for data analysis, and a strong interest in sports analytics. Mirajul currently holds a Teaching Assistant position within the Department of Mathematics and Statistics. Jakub entered the department in the fall of 2018. He is a PhD student in the Statistics program. Before joining UNH, Jakub taught at Kiettisack International School and Oscar International School in Laos. Jakub earned a Master of Science in Mathematics from Missouri State University, and a BS in Applied Mathematics from Lincoln University. 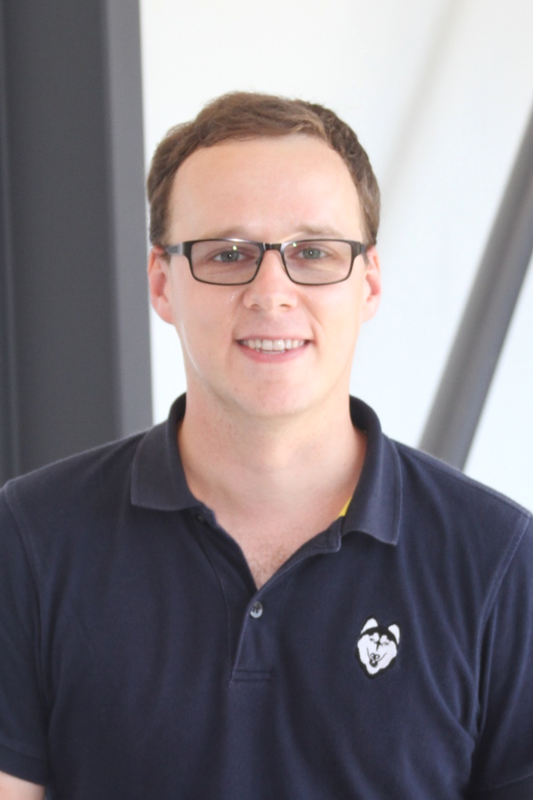 Jakub currently holds a Teaching Assistant position within the Department of Mathematics and Statistics. Dennis currently holds a Teaching Assistant position within the Department of Mathematics and Statistics.